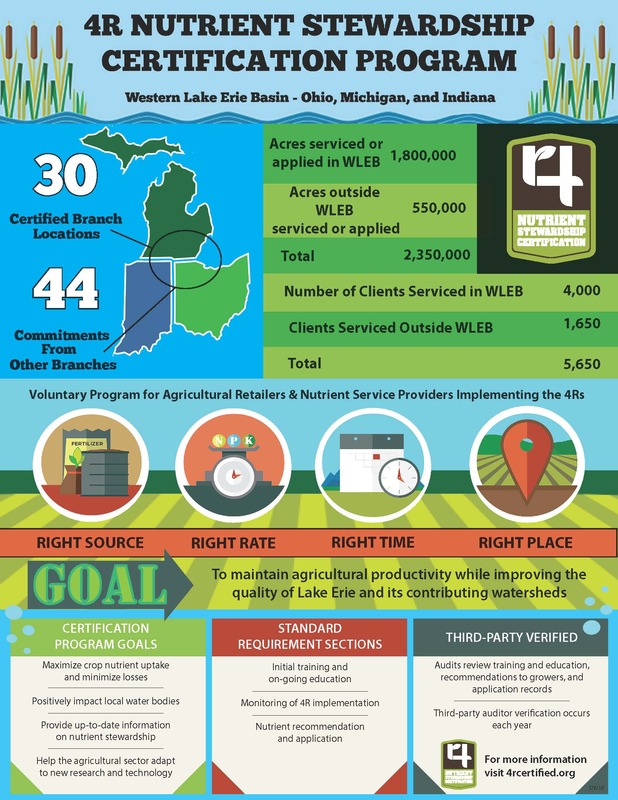 Click to view an infographic of up-to-date stats for the 4R Nutrient Stewardship Certification Program. 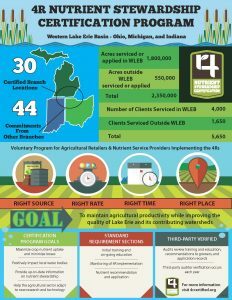 MEDIA: High-resolution photos of The Andersons’ Fostoria and Gibsonburg facilities receiving their 4R Nutrient Stewardship Certification signs are attached with this release, and can also be downloaded at www.4Rcertified.org/news. 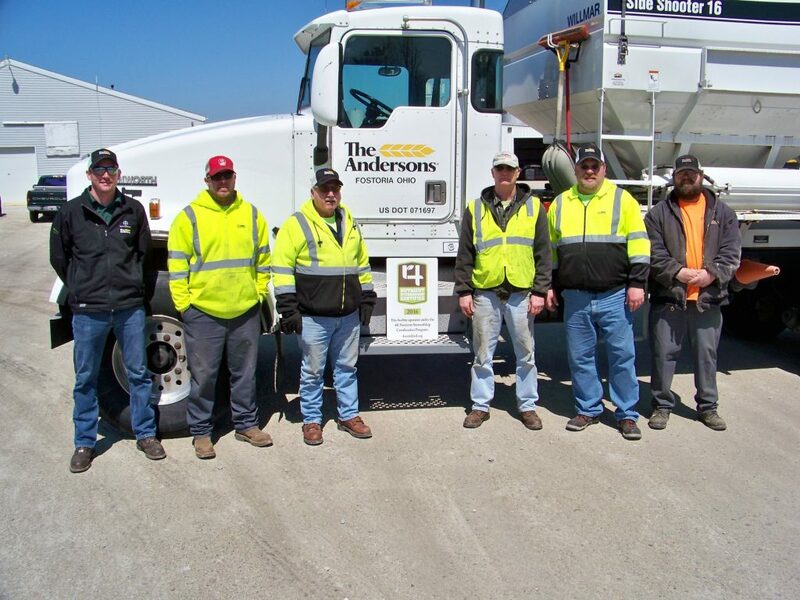 The Andersons Fostoria: The Andersons Farm Center in Fostoria, Ohio is now 4R Nutrient Stewardship Certified. Employees pictured (from L to R) include: Phil Rupright, Adam Johnson, Tom Conrad, Jeff Holman, Phil Bowsher and Dale Hites. 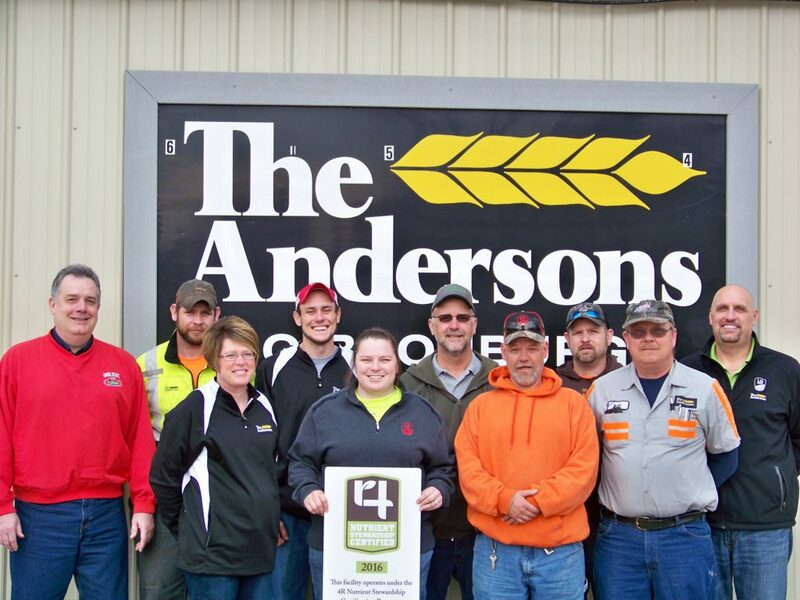 The Andersons Gibsonburg: The Andersons Farm Center in Gibsonburg, Ohio is now 4R Nutrient Stewardship Certified. Employees pictured (from L to R) include: Back Row – Bill Kuhlman, Keith Hicks, Brock Avers, Jim Gosche, Adam Thacker and Dean Anstead; Front Row: Annette Clark, Kristin Welling, Jeff Weickert and Bill Martin.